Turbo Goth is unique. There I said it! They are unique in the local scene, they play music that is damn interesting and have a swagger reminiscent of Goldfrapp and the White Stripes. It was a real pleasure than listening to their debut album “Destroy Us All” released earlier this year because it just ticked all the right boxes for what I look for in electronic rock. 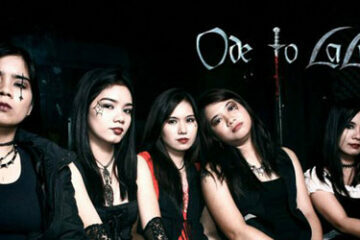 Once again an unsigned band that is forging ahead with a great sound and a powerful image. Electronic rock is a hard category to define but there are some really great global acts out there who are masters in this field such as early N.I.N., Goldfrapp, Electric Six and a latter-day Killers with Day & Age who have perfected the art of mixing in inherent dance orientated beats with edgier guitar-laden songwriting. The thing is about this style, you either have it or you really don’t – it requires confidence on all fronts or else it just sounds corny. 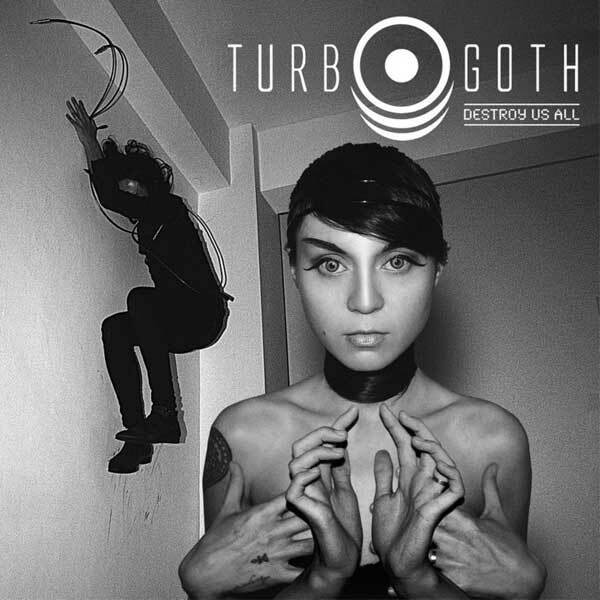 This is the bit I love most about Turbo Goth – the confidence to deliver something that is raw and edgy yet very musically coherent. The potential here is just mind-boggling. Turbo Goth is a two-piece Filipino band that started out a few years back with Paolo joining up with Sarah after hearing her singing style. Now Sarah has had no previous singing background and was (and in some instances still is) more famous for artistic work and writing. The first thing that grabbed me though was how both have created a visually striking image that is totally at odds with 99% of the local market and more akin to the underground indie scene of the US and UK. You just won’t forget these two in a hurry. Of course, this visual impact would all lead to nothing if it was not for the fact the album ‘Destroy Us All’ is an absolute masterpiece. This album is very raw, current and edgy with wonderful hooks and takes so many risks yet makes so many right decisions in those risks. These guys were made for each other musically and image-wise. This album takes me back to the indie pop scene I remember so well in the mid 90’s in the UK with the ethereal types vocals of Sarah gracefully surfing Paolo’s more guttural and in your face beats and guitar work. There is also a touch of some classic shoegazer bands such as Chapterhouse when the music comes across as more dreamy but still remaining strong and focused. You cannot accuse these two of lacking rhythm and swagger and it comes across in many of the tracks. My absolute favorite Farfalla Vendetta is just a pure blast of heavy rushing guitar-laden beats with those super ethereal vocals of Sarah’s just effortlessly surfing over each wave. Some have mentioned White Strips as an influence. I don’t see it that much having listened to a few tracks of late of the Stripes but in Farfalla Vendetta there is a similarity in the way Paolo wants you to hear the tempo and rhythm of the guitar work – its stomping bass heavy and never drifting. The distorted bass synth is a common feature in the album but there are moments when this is cleaned up and the results are more akin to really early Nine Inch Nails (Pretty Hate Machine) or Unter Null’ with the Fire of Prince Vincent – a touch of detachment though without a loss of intensity. The beauty of the risks they take is that each song has an underlying melody that is very strong. Only towards the end of the album do you hear ‘The Science of Sound” and some stronger experimentation but the first 10 tracks are pure “pop genius” as they say. It normally takes me a bit of time to get into new albums and really get into the tracks but with Destroy Us All it was almost instant. I really did get what they were saying and I dug how they said it. That is rare. Some music has become so sanitized these days with all the soul, sexiness and swagger sucked right out of it – this is the complete opposite and thank god for that!